September is Social Media Month for Google Small Business! All month long, we're bringing you a variety of experts to help you harness the power of social for your business. Tune in each Friday at noon PST for a live video Q&A about a different social media topic. Click on the event links above to RSVP and come prepared with your social media questions. 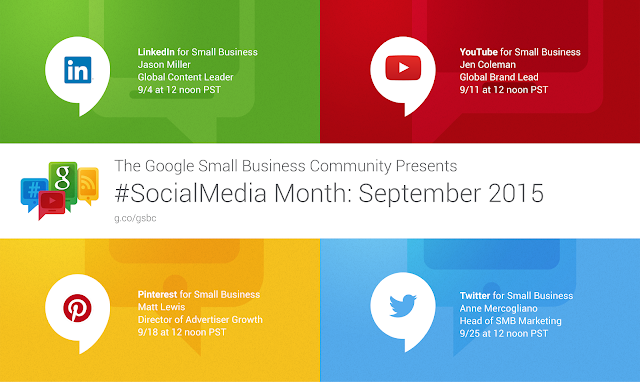 For more tips, tricks and small business help, join the Google Small Business Community.